John’s practice covers all aspects of trust and property law advice, drafting and litigation (including charities, wills and probate) and associated revenue and private international law questions. He specialises in advising on trusts (both private client and commercial), on revenue matters and on matters relating to the Society of Lloyd’s. 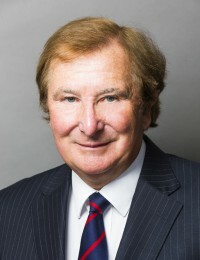 John acts for several of the leading large family trusts and land estates. He is a specialist in drawing up and advising upon complicated trust documentation and commercial documents and has taken part in many court applications under the Variation of Trusts Act, 1958 (particularly recently for the insertion of new perpetuity and accumulation periods). He has a detailed knowledge of the complex structure of rules and byelaws applicable to the Society of Lloyd’s and of the interlocking trust deeds and agency agreements which members, brokers and agents are required to execute. A main contributor to Vol. 19 (Sale of Land) of Butterworth’s Encyclopaedia of Forms and Precedents (4th ed) and had more recently supplied that encyclopaedia with precedents for accumulation and maintenance settlements. ‘Purposive Construction in the Law of Trusts’ for Private Client Business.